Newcastle City Council will shortly begin a pilot using new technology that will tell drivers approaching urban junctions how long a current traffic signal green phase will last, enabling them to adjust their driving patterns accordingly. The aim is to encourage smoother travel in built-up areas and so cut excessive fuel use and emissions caused by unnecessary acceleration and deceleration. The system, due to start a six-month trial on buses running along the city's Gosforth corridor before the end of 2016, will enable equipped signals to communicate their current green phase status via short-range radio to an on-board unit. This will use a fixed Android-based device as a human-machine interface to show drivers how many seconds they have left to reach the intersection. The project forms part of the city's contribution to the €10m EU-funded, seven-city COMPASS 4D programme, a co-operative Intelligent Transport Systems (ITS) initiative. 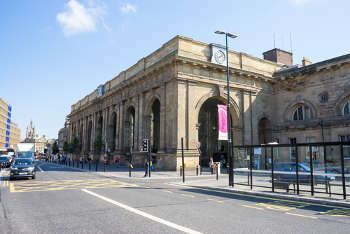 This ended officially in December 2015, but the Department for Transport has given Newcastle special funding to enable it to carry out the current research.